No rock nor water can stop us from delivering our goods to the TY Rosita-affected communities in the region. Thanks to our partners who help us make things possible. Cordillera Administrative Region– As of 3 November 2018, the Department of Social Welfare and Development (DSWD) here has provided assistance amounting to PhP 2,072,364.25. Additional assistance worth PhP 684,200.20 came from the local government units, PhP 6,190.00 from non-government organizations and PhP 4,210.00 from other sources. A total of PhP 2,766,964.45 was given to families affected by Typhoon Rosita. Aside from the family food packs and non-food relief items, the Department is also closely coordinating with the Local Government Units for the early recovery of the affected individuals. “We are doing our best to provide the necessary interventions to our communities that have been affected by typhoon Rosita”, DSWD-CAR OIC Regional Director Janet P. Armas said. On 1 November 2018, DSWD Secretary Rolando Bautista together with Director Armas, DSWD Region II Director Leonardo Reynoso, other partners and stakeholders convened to create strategies to reach the communities that have been affected by the said typhoon. “Due to the landslide, we have areas that were isolated. It is very difficult for us to reach the areas but with the assistance of our partners, relief items for these areas are already on the way”, Armas added. 3,000 family food packs will be provided to Natonin, Mountain Province. 1,000 family food packs will be delivered to Paracelis, Mountain Province. Additional 700 food packs have been requested for Brgy. Anonant in Paracelis. A total of 22, 010 family food packs have been released by the Field Office to various municipalities which can be distributed to TY Rosita victims. Of which, 4,170 are provided to Benguet Province, 5,850 in Ifugao, 1,970 in Mountain Province, and 5,000 family food packs each for Abra and Kalinga. As of 4 PM of 3 November 2018,The DSWD-CAR maintains a total of 31,060 Family Food Packs (FFPs) are available at DSWD-CAR Warehouse, Puguis, La Trinidad, Benguet, amounting to PhP 11,200,431.35; and Food and Non-food Items (FNIs) amounting to PhP 32,943,454.38. 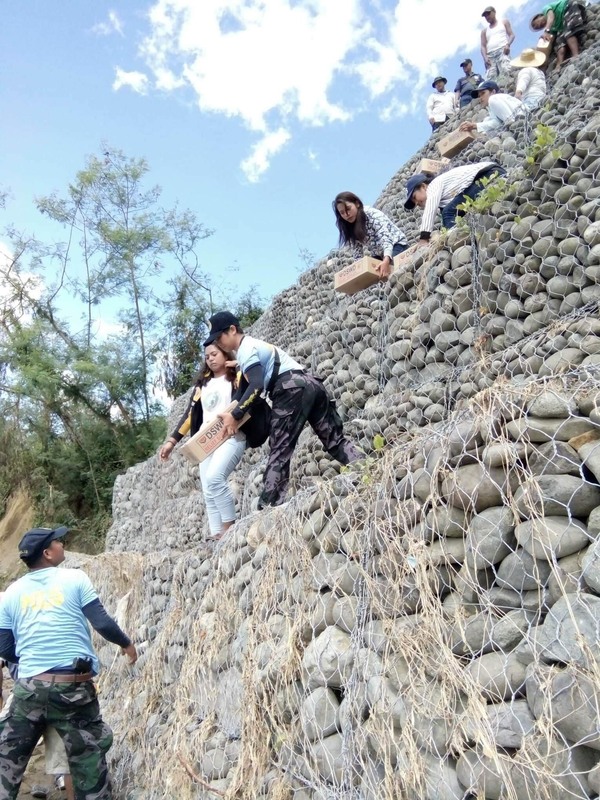 The DSWD-CAR has provided PhP 481,512.50 worth of assistance to the province, 401,015.25 to Benguet, PhP 284,812.00 to Abra PhP 192,258.00 to Apayao, PhP 162,574.50 to Ifugao and PhP 545,592.00 to Kalinga. Meanwhile, the DSWD will also provide PhP 5,000.00 financial assistance to the families of the individuals affected by the landslide in Natonin. This will be in addition to the burial assistance that will cover the funeral service of the casualties. “Our personnel have already conducted interview and assessment to the families of the casualties in the Natonin landslide. Aside from this, we are also closely monitoring the status of our evacuation centers to ensure that the needs of our evacuees are attended to”, Director Armas said.